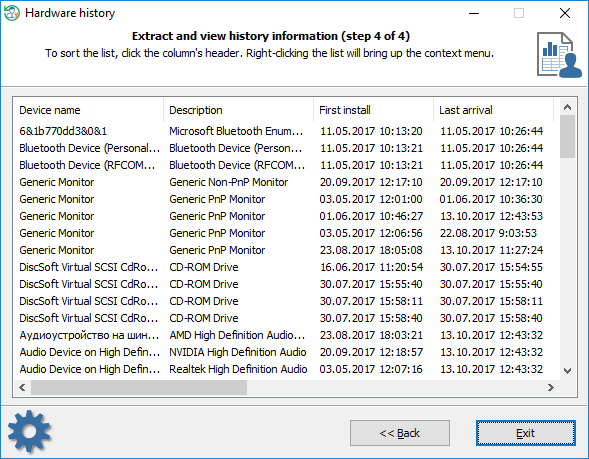 The hardware history enumerates all hardware of the target OS and sorts it by installation or last arrival/removal date. 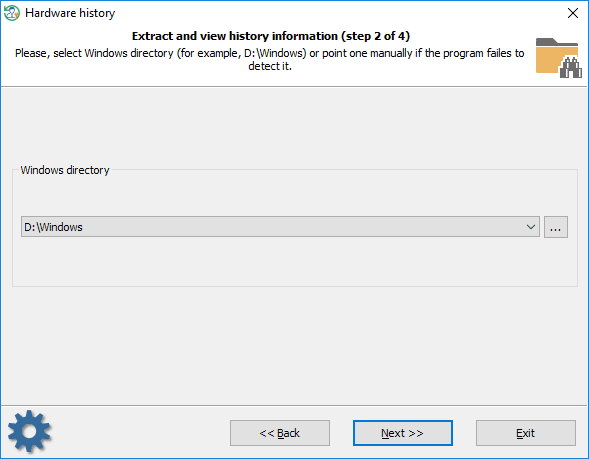 Set up additional output filters to skip unnecessary items. 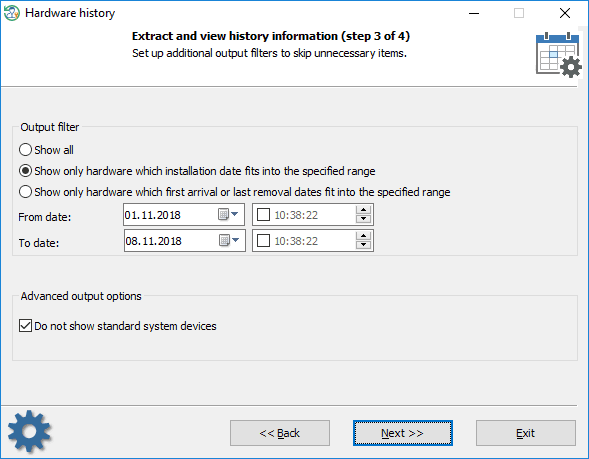 You can set the program up so that to display only hardware that was installed or arrived/removed last time on the date you specified. To sort the list, click one of the columns.